Los Angeles is once again Super-Bowl worthy! 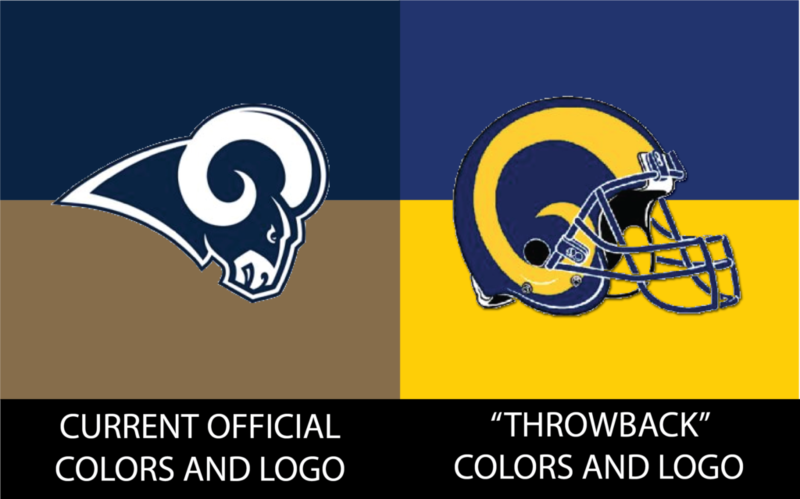 With our Rams heading to this Sunday’s 53rd contest, let’s take a look at the Rams’ brand evolution. FUN FACT #1: As the official “home team” for Super Bowl LIII, the Rams got to choose first which uniform they would wear. In a nod to their home games, they chose the throwback uniform. The Rams began their football life in Cleveland in 1937, making them one of the oldest NFL franchises. 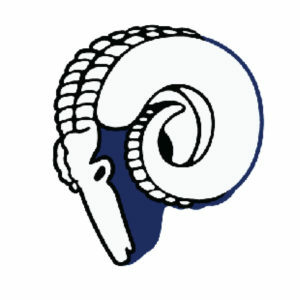 Their first logo was a rudimentary design featuring a ram with a pretty nasty scowl, and instituted their long-standing devotion to the color blue. After WWII, their owner, Dan Reeves, saw opportunity in sunny California and moved them to Los Angeles. At the same time, the logo was updated to face left, with added black outlines. 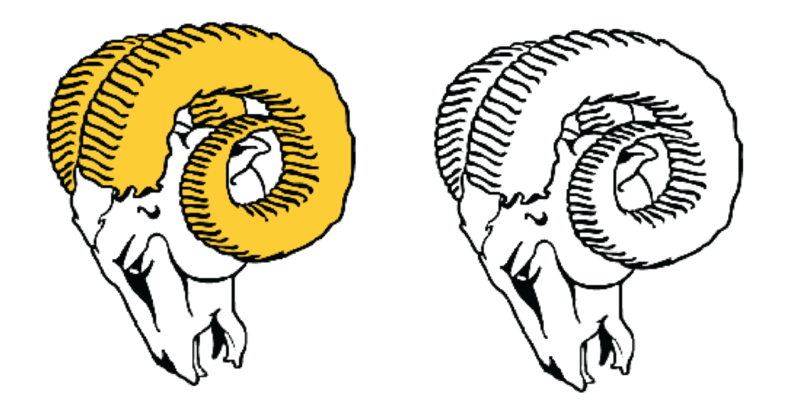 From 1951 to 1969, the Rams toughened up the feeling of the logo with a fierce expression and horn detail, which were now yellow. From 1970 to 1982, little changed with the exception of removing the yellow from the horns. 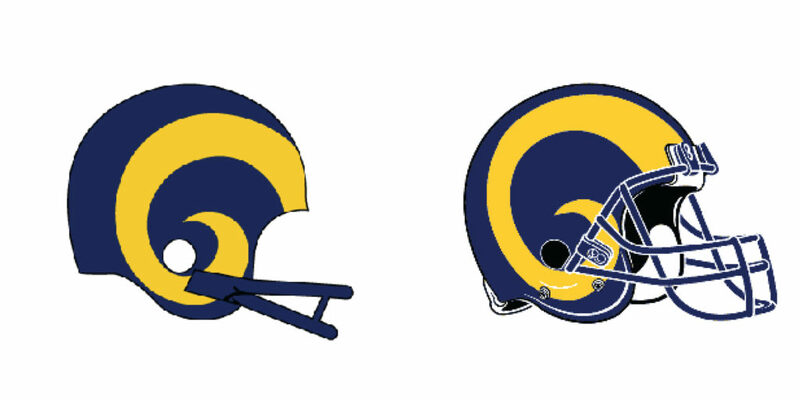 FUN FACT #2: The Rams were the first NFL team to feature their logo on their helmets. It all started in 1948 when a Rams halfback who was also an artist in the offseason, Fred Gerhke, painted ram horns on his leather helmet. Enter the era of the football helmet as logo. From 1983 – 1988 the logo was a side view with a blue face mask. From 1989 – 1994 the helmet was rotated for a 3D effect and a modern face mask was added. Then came the move to St. Louis. 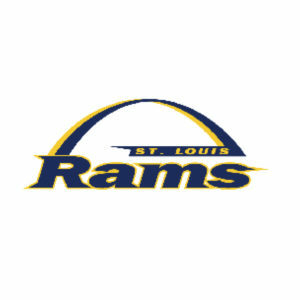 From 1995 – 1999, the Rams preserved their existing color scheme, adding the image of the St. Louis Arch. 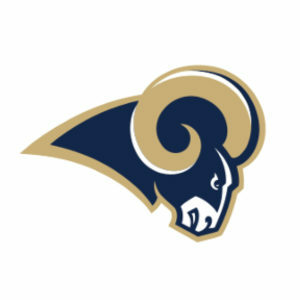 Following their big 2000 Super Bowl win, the Rams celebrated with a new logo, creating the clean descriptive image that was in use through their departure from St. Louis in 2016. 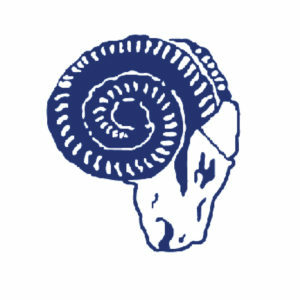 The present day Rams’ logo is a crisp version of where they started back in 1941 – full circle. 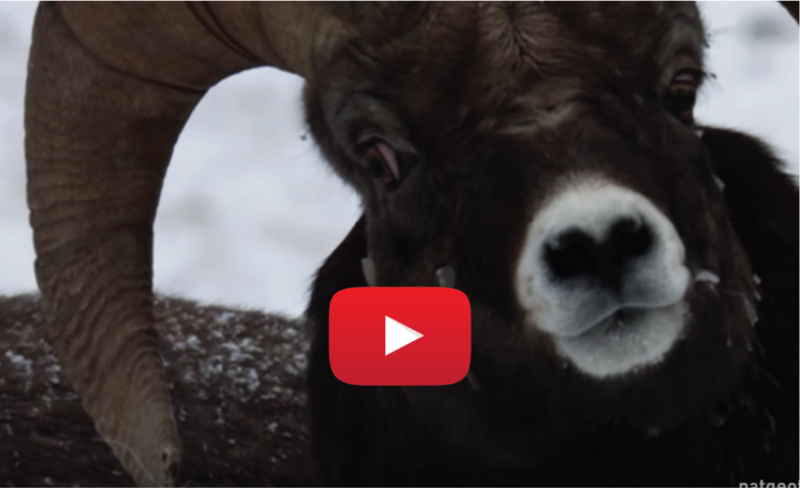 Over time, we can easily see how the Rams have adapted both to their physical location as well as the sensibility of their time. They’ve kept their brand relevant and alive for nearly 80 years. May we all be so successful with our brands, both personal and professional! As they head into one of sports’ ultimate contests, let’s hope it’s just the beginning of a powerful dynasty. 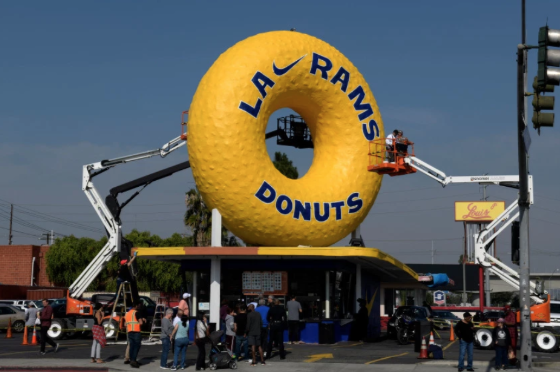 FUN FACT #3: Iconic Randy’s Donuts in Inglewood painted their magnificent marquee that looms over LA in support of the Rams! Nike got their swoosh in there by partnering with Randy’s and the City of Inglewood. When I’m not obsessed with football, I love helping my clients discover their voice and their brand. 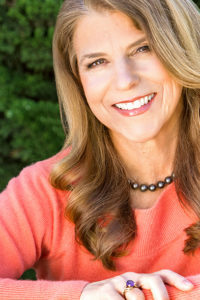 Contact me for a no-charge assessment of where you are and where you want to be.